Pleated curtains are one of the most practical ways to protect your house against sun light and curious glances. These elegant products decorate the interior of any room and create the cosy atmosphere. These curtains will perfectly fit plastic windows. Pleated blinds help to completely cover the window opening and thus it helps to darken the room. Pleated curtains are the sheet of pleated fabric that is fastened onto the aluminium extrusion. Such curtains are lifted into a neat little bag (along fold lines). Thus, in closed mode they occupy very little space, only up to 4-5 cm. 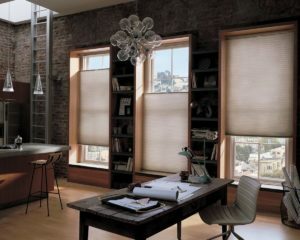 Pleated blinds are made of fabrics with special characteristics. The reverse side of the fabric can have a nacreous or metallized layer applied. Thanks to that layer, it protects the room against overheating. 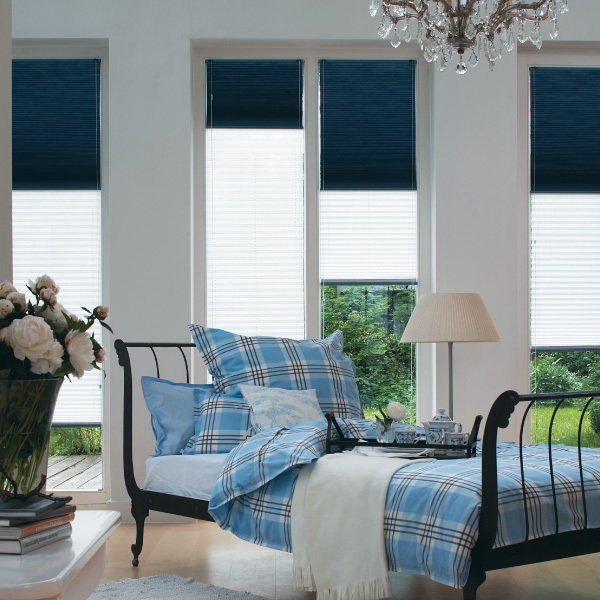 We provide a wide choice of blinds made of different kinds of pleated fabric which will complement any interior. The material for the pleated curtains is a special polyester pleated fabric. This allows to elegantly decorate wooden or plastic windows or big windows and interior gardens. These curtains have many kinds of control systems, including electric drive. Pleated curtains are versatile. They look great in any kind of rooms, both in offices and bedrooms. Due to the fact that they are not afraid of humidity and the fact that if necessary, the curtains can be washed (hand wash), they can be used in humid rooms. For example, like bathroom or pool. Pleated curtains or pleated blinds are the most aesthetically pleasant and neat way for the sun protection and they are very popular in Europe. The main advantage of these curtains is the possibility to install them on the window of any shape. These products are easily installed both on rectangular or complicated trapezoidal and semicircular (arched) windows. Pleated blinds are very practical. These products can be washed by hand, so their looks stay the same for many years. Comparing to other sun-blocking systems, pleated curtains are the neatest and don’t prevent opening the window. The fabric and the model of pleated blinds are chosen according to the purpose, style, and colour scheme of the room. You have to choose the design of the blinds keeping in mind the shape, dimensions, locations of the window and the presence of the house plants or other things on the window sill. For example, pleated blinds Night and Day will fit bedroom, as they use two fabrics with different levels of shading and you can use them in turns. Also a choice depends on the preferences of the owners of the house. To make a right choice of your blinds, get a consultation of an expert.